Students, scholars, and alumni are invited to use MARBL's resources to advance knowledge and research. Emory University Photography; photograph by Bryan Meltz. Undergraduate Grace Shin 14C looks at a confederate soldier’s civil war diary from Fort Sumter. Graduate student Catherine Fernandez 12G looks at a section of Ligorio’s map of Rome. 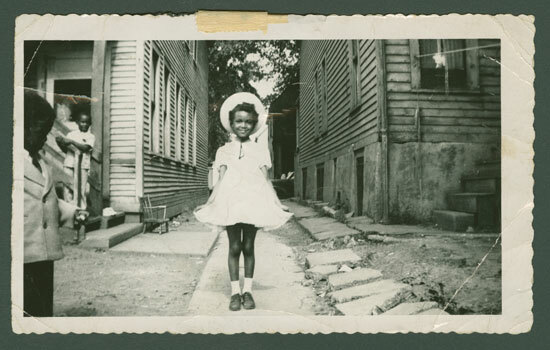 Lucille Clifton circa 1940s, photographer unknown, Lucille Clifton papers, MARBL, Emory University. 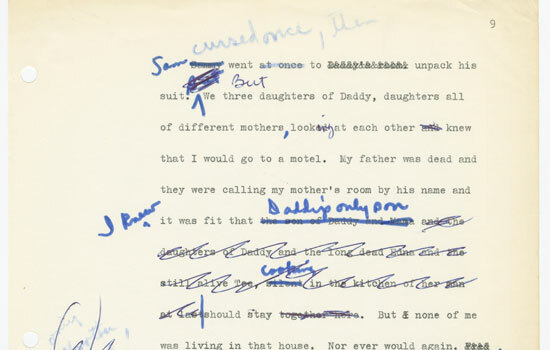 Lucille Clifton, corrected typescript page for Generations: A Memoir, circa 1976, Lucille Clifton papers, MARBL, Emory University. Emory University Commencement, circa 1950s, Emory University photograph collection, Emory University Archives, MARBL, Emory University. 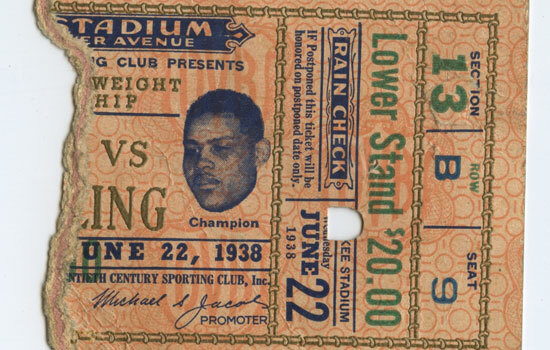 Ticket stub, Joe Lewis vs. Max Schmeling, June 22, 1938, Michel Fabre archives of African American Art and Letters, MARBL, Emory University. Bumper sticker, “Stop the Killing, End the Violence Campaign,” Southern Christian Leadership Conference papers, MARBL, Emory University. 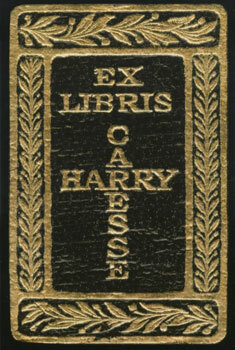 Bookplate of Harry and Caresse Crosby, owners of the Black Sun Press. Raymond Danowski Poetry Library, MARBL, Emory University. Long gone are the days of having to show “proof” of your scholarship to enter the library. 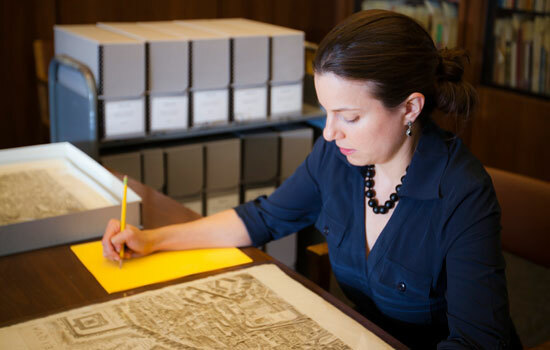 At Emory’s Manuscript, Archives and Rare Book Library (MARBL), a steady flow of students, scholars, and researchers ensures the primary resources available for study “are used by the broadest range of individuals,” says Elizabeth Chase 08G 12PhD, coordinator of research services for MARBL. “Archives have moved away from closed access.” Rosemary Magee 82PhD, vice president and secretary of Emory University has been named MARBL’s director. “There is nowhere I’d rather be than in a library – small, large, public, or research,” Magee wrote in the latest edition of MARBL’s magazine. Magee’s appreciation is shared by all who experience the strengths of MARBL. Emory’s manuscript and archival collections are particularly strong in modern literature, especially modern poetry; African-American history and culture, focusing on Black print culture and the Civil and post-Civil Rights movement in the South; and Southern history from mid-nineteenth century to the present. On staff are conservationists and archivists whose job it is to restore, repair, and record vital information about collection materials. MARBL’s storage system is both complex and extremely well organized, designed for ease of access by staff with sliding shelves and meticulously labeled and arranged archival boxes that house a variety of materials. Photos, memorabilia, and other unusual original documents have been archived such as sheet music, art books, and one-of-a-kind manuscripts including one written on a paper bag and framed. In the main reading room, glass-cased displays showcase highlights of the collections. 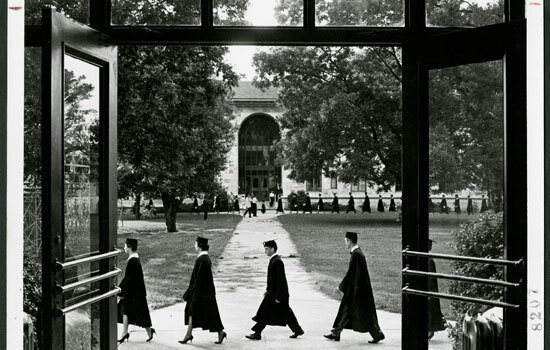 MARBL is also charged with maintaining the university’s historical archives including yearbooks, newspapers, and magazines. The process for using the materials in MARBL is well defined. Located on the tenth floor of the Robert W. Woodruff Library, “MARBL is open to all researchers who wish to use the materials it houses for their research or teaching, including Emory undergraduates, graduate students, faculty, and staff members, and other researchers from outside the university,” Chase explains. 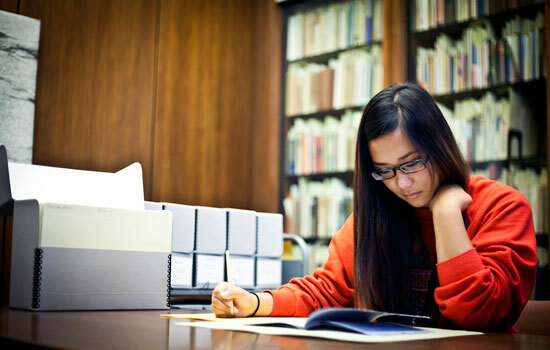 Pre-college research is considered on a case-by-case basis. Though MARBL does work with walk-in clients, the process can be expedited by email. Requests may be placed in advance for 24-48 hour turnaround in retrieval, depending on where the item is stored. Pulled materials are then stored at the reference desk. Chase recommends researchers refer to the Emory Finding Aids Database which provides centralized access to detailed descriptions of archival and manuscript collections held in various repositories at Emory. In addition, individuals may refer to MARBL’s conduct research site for further information on how to use MARBL resources. Individuals must present photo identification and complete and sign a researcher registration form. This simple paperwork becomes a documentary record for preservation and security of the collections. Personal items, including pens, must be stored in secure lockers. Though copies can be made by MARBL staff, to ease the research process, use of digital cameras is permitted. Chase explains the multiple benefits of this policy. “Materials are handled less frequently for photocopying, which aids in their preservation. In addition, researchers can spend less time at MARBL and more time at home, studying the materials at length and at their leisure through digital images,” Chase said. "We Woke up to a Different World." Emory alumni led life-changing relief projects in the aftermath of Sandy. Emory's remarkable growth and student experience addressed in "State of the University". Sandy's "Warning of Great Need"
Emory alumni rallied around those in Sandy's wake, offering shelter, financial aid, and supplies. Art examination inspires memory through the Michael C. Carlos Museum's docent-led Museum Moments program. $13 million in grants for developing an effective vaccine for HIV/AIDS. Students, alumni, faculty, staff, and friends unite in service on Emory Cares International Service Day. Complete reinstallation of Art of the Americas set to open February 2013 includes new research and art. Documentarian Erik Fyfe 06C investigates individuals' relationships with weather and how people around the Northeast perceive climate. "To Women, To Pilots, We are One"
Student researchers investigate issues and seek new discoveries in many fields.